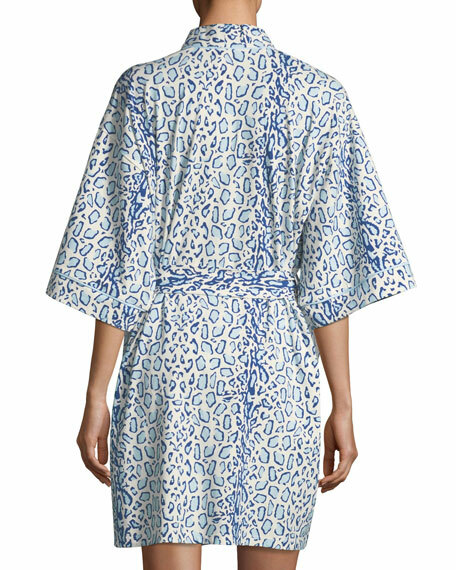 Bedhead short robe in "Mighty Jungle" leopard print. For in-store inquiries, use sku #2371796. 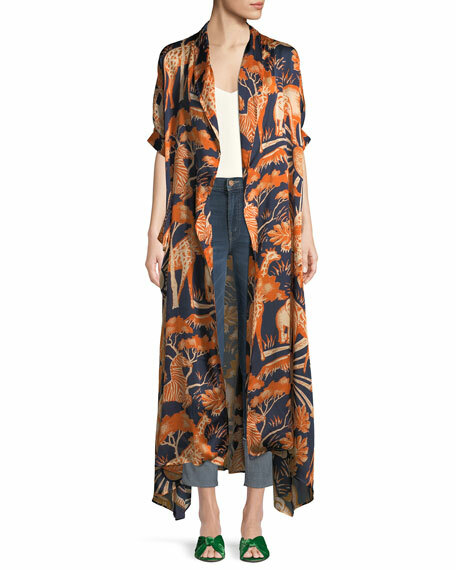 Chufy silk robe with animal-print. Shawl collar; open front. Short sleeves. Box pleats at back. Relaxed fit. Ankle-length. Handkerchief hem. Made in Italy. 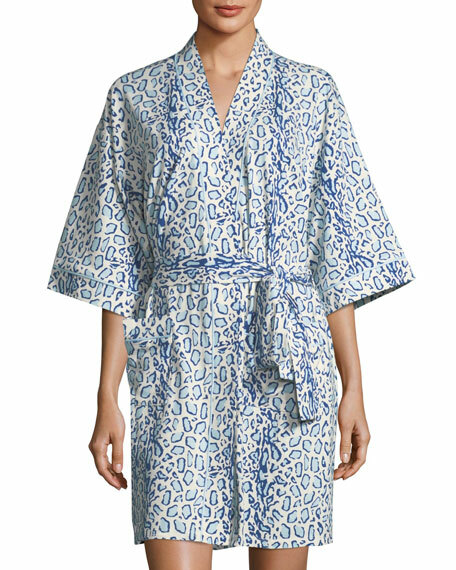 Eberjey "Kinga" short robe with lace insets. Shawl collar; open front. Long sleeves. Self-tie sash at waist. Relaxed silhouette. Straight hem. Modal/spandex; nylon/spandex lace. Imported. Hanro short robe in jersey-knit. Spread collar; open front. Long sleeves. Self-tie sash at waist. Patch pockets at hips. Relaxed silhouette. Straight hem. Mercerized cotton interlock. Made in Portugal.